Robin Knowles is the founder of CFD Engine, a solo aerodynamics consultancy where he uses CFD to help clients find and fix their expensive airflow problems. What do you see are the biggest challenges facing CFD in the next 3 years? Cloud CFD – The tech has been proved, some very clever people have made some impressive cloud CFD offerings, but now it’s time to iterate on the business models a bit. People don’t want cloud CFD in and of itself, they want the best of what it has to offer and number one for me is scalability. I’m a bit worried that the cloud CFD players might run out of runway before they’ve taken off. John: Why GPU in particular? Should I infer that you think CFD codes already fully exploit multi-core desktop CPUs? Robin: I just think that GPU offers such a compelling “bang for your buck” that it feels like we should be talking more advantage of them, riding the wave of hardware development that is being fueled by incoming VR technology. AMD recently launched a 16 teraflop GPU for $1,500 – that’s a lot of compute power if it can be usefully deployed for CFD. 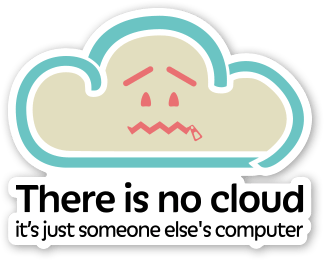 John: Regarding the cloud, what exactly do you mean by scalability? Is it giving SMBs access to big hardware so they can turn around big jobs? Or giving large businesses surge capability? Or something else? Robin: For me, the benefit of scalability is less in the size of the job but rather in the number of jobs than can be turned around in a given time. If you’re using CFD as part of your design process I feel that there is usually more to be learned by running twice as many jobs as a single job that is twice as big. I’m also not (yet) convinced by the surge / burst use-case. Companies can’t easily replicate their on-premise hardware in the cloud and as such it’s not trivial to offload a few jobs into the cloud at peak times. I run a solo aerodynamics consultancy (CFD Engine) where I use CFD as my main tool to fix airflow problems that are hurting manufacturing companies. It runs the gamut from fences to time trial bikes to race cars to boats and beyond. But drag reduction seems to be a pretty hot topic for me lately, either for going faster or going further (increased fuel economy). When I’m not doing client work I’m trying to create useful content for CFDers with my blog and podcast (both of which you’ve graciously lent your support to) and fingers crossed a little bit of online training this year. John: I’m looking forward to when your Talking CFD podcast goes live, not only from hearing what other people say but waiting to hear whether I said something stupid; there’s no filter between the brain and the mouth. How did you get to be where you are today? CFD was an accident. I’d wanted to work in motorsport since I was around 15 and dabbled around the edges but couldn’t get a job after graduating with a Bachelor’s in Automotive Engineering. One of the positions I applied for wrote back and said “you’re not qualified for this job, but we’re sponsoring a PhD you might be interested in” – so I did a PhD in (sort of) race car aerodynamics at Cranfield University. This was also the start of my CFD-ing via that industrial sponsor. I did a short stint in Formula One (to get it out of my system) and I’ve been CFD consulting ever since, doing my own thing for the last 3 and a bit years. John: I’m not a car guy but when people say that motorsport should be THE hobby for engineers, I get it. I was introduced to Red Bull Air Racing last year and now I’m hooked (because I’m an aero engineer by degree). What insight can you share from your time in F1? John: Dang, I hope drivers don’t read this. Who or what inspired you to get started in your career? I’m continually inspired. I’m not sure if I had a big inspiration to get started but I’m always looking for inspiration to take the next step. I heard a quote that went something along the lines of – a great entrepreneur breaks problems down, identifies the next step and then takes it. I’m not too bad at breaking problems down and identifying the next step but not always so hot when it comes to taking the next (or first) step – that’s where I need the inspiration to step in. What advice do you have for young people entering the field today? Above all, be useful. Find someone who you can help with a real (to them) problem and use your skills to help them fix it. CFD can be like magic in the right hands or just science fiction mumbo jumbo in the wrong ones. John: Any tips on how to translate CFD mumbo jumbo to natural language? Robin: If you’re solving a real problem then you might be surprised how little you need to even mention CFD – it’s just another tool in the kit after all. How do you know Pointwise? By reputation (all good) and through your efforts in social and content marketing – bravo on those fronts. John: You’re a social marketer yourself. How do you think engineers respond to that? Are there other things we should all be doing? Robin: I think I fall on the content marketing side (I’m not that sociable). I think engineers on the whole are pretty keen to learn and solve problems and if you can create content that helps them do that then I think it’s usually well received. If you’re always selling with your content you need to stop and grab yourself a copy of Jab, Jab, Jab, Right Hook by Gary Vaynerchuk. Can you share with us your favorite tools and resources that help you get your job done? I would have no CFD business without the triumvirate – OpenFOAM, AWS & ParaView – but Docker, Git, Rhino 3D, and Asana are up there too. Oh and a coffee subscription from Has Bean should get some credit. If we were to come visit you where’s a good place to go out for dinner? It depends how hungry you are, John. We don’t have a history of great food in my little corner of England but we do have a history of great steam trains. So I’d say, if you’re not that hungry let’s go to the steam train museum instead and get a pie and a pint in the pub on the way back. If that doesn’t appeal we have an unfeasibly good Japanese restaurant in a local hotel thanks to it having been bought by the local Honda factory. Your choice. John: Sounds like two great choices. Thanks for sharing all this information with us. This entry was posted in Hardware, People & Places, Software and tagged CFD Engine, OpenFOAM, ParaView, PyFR, Rhino, SpeedIT Flow. Bookmark the permalink.